Prudence Tekurade is a woman on a mission. 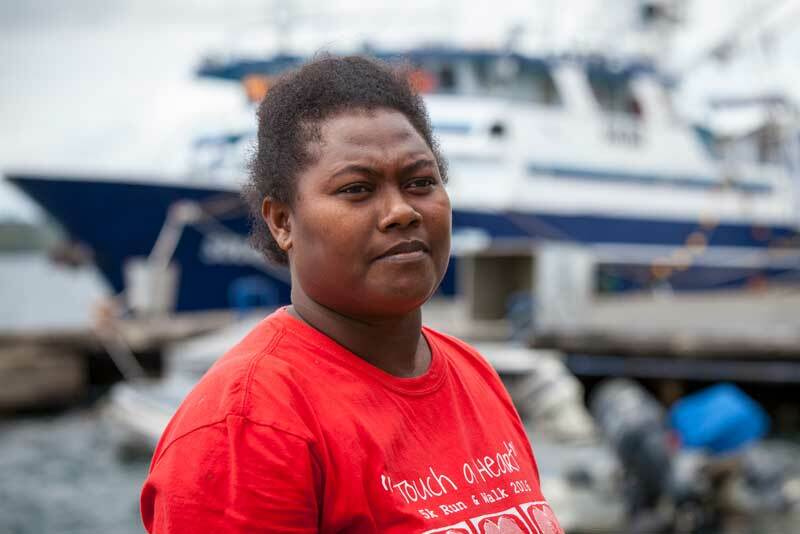 The 28-year-old mother of three saved enough from her job at SolTuna, the Solomon Islands’ only tuna processing plant, to buy a plot of land. Now she’s putting money away to build a house that she plans to rent for extra income. 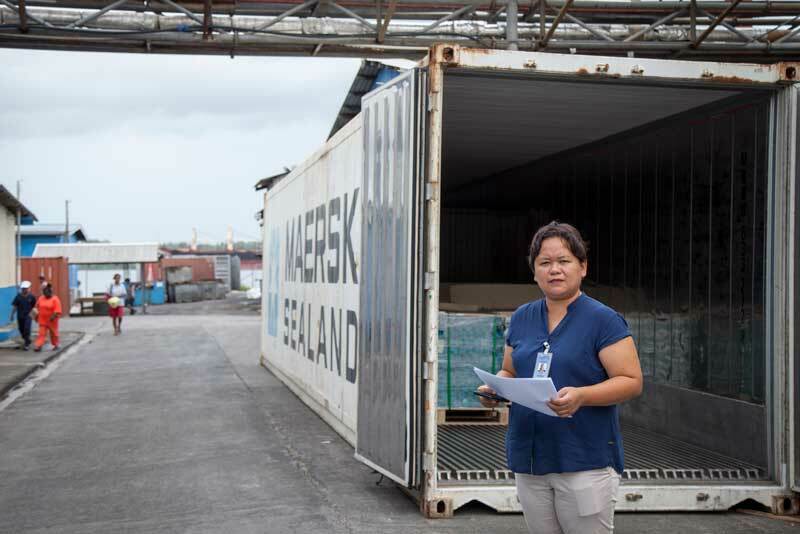 Tekurade’s former attitude toward her earnings used to be common among the women who work at SolTuna, one of the island’s largest private employers. Women comprise two-thirds of the workforce and, until recently, many had already spent their money by the time payday came around. Some would skip their shifts at SolTuna and head to the market to sell fish, produce, or other goods to earn quick cash and put food on the table. The fewer women showed up to work, the less fish SolTuna could process, says manager Suzy Aquino. Photo credit: Robert Taupongi, IFC. The fewer women showed up to work, the less fish SolTuna could process. Production targets were nearly impossible to hit. This, combined with high energy and shipping costs, made it hard for the company to compete with tuna processors in Thailand and the Philippines. That was impacting the company’s bottom line. After providing a $10 million loan to SolTuna—to help it upgrade and expand its processing capacity—IFC worked with the company to raise its environmental and social standards, which included tackling the absenteeism issue. As IFC worked with SolTuna, it became clear that there were many factors contributing to women’s absenteeism. In addition to skipping work to earn additional income at the market, many women were balancing their jobs with the needs of sick children or elderly family members. Others were missing work because of violence at home. In Solomon Islands, an estimated two out of three women experience domestic and family violence in their lifetime. SolTuna then adopted a structured approach to supporting workers who faced domestic and family violence. It trained a team of first responders on how to handle disclosures of violence at work and strengthened the procedure for reporting and resolving grievances. The company is also implementing a respectful workplace policy, to address sexual harassment and bullying. Alison Anawe, a line supervisor at SolTuna for 15 years, says she and her colleagues used to feel ill-equipped to deal with these issues. Alison Anawe, a production line supervisor, says that understanding workers’ problems allows her and colleagues to help them. Photo credit: Robert Taupongi, IFC. With IFC’s support, SolTuna also rolled out a financial literacy training program, in which more than 60 percent of the workforce participated. It has helped employees learn to budget, save, and understand their pay slips—as well as the company’s bonus program, which incentivizes good attendance. There’s no shortage of women now willing to speak about the benefits of financial literacy. Mary Geri, who works on the production line, has saved enough to set up a small trade store in a nearby village, selling rice, biscuits, and other goods. The mother of three—whose eldest is also an employee at SolTuna—says her husband now works “for her” in the store. Geri continues to save, keeping the money in a locked box at home. She’s thrown away the key and plans to break the box open at year’s end. The combined effect of helping women address domestic violence, providing training in financial literacy, and creating jobs for women in higher paying, non-traditional roles has helped SolTuna cut absenteeism by more than one third. Previously, SolTuna’s women workers were most visible in the office or on the production line. The company has more than doubled the number of women in jobs traditionally held by men. And women are now in four of the five top positions in production and quality control. The company has also developed new export markets, including the United States, and has expanded its workforce to more than 2,000 employees, from 1,800 a few years ago. The ripple effect reaches other businesses. Fifteen of the largest companies in Solomon Islands, which collectively employ more than 6,000 workers, have now committed to promoting gender equality in the workplace through a program known as Waka Mere (“She Works” in the local language). 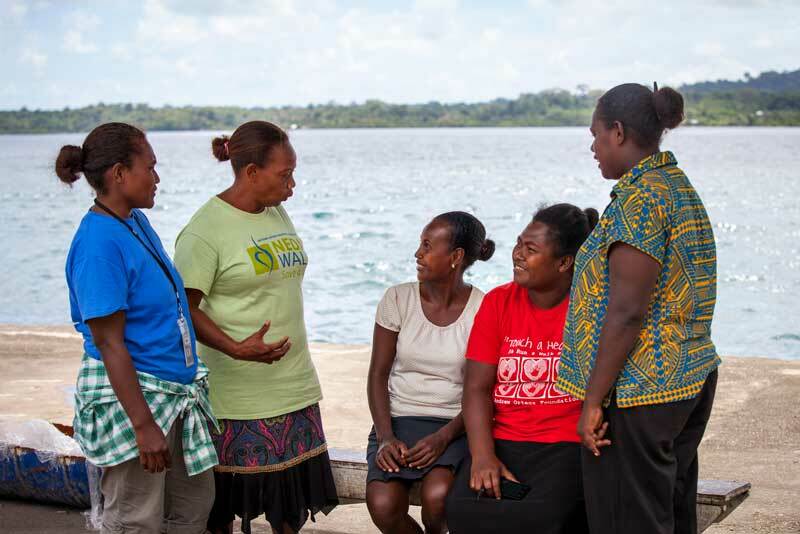 This two-year initiative, launched by IFC in 2017 in collaboration with the Solomon Islands Chamber of Commerce and Industry, recognizes the many benefits of empowering women. It is supported by the governments of Australia and New Zealand. Pacific Women contributes AU$2.4m to IFC’s Empowering Women Is Smart Business (Waka Mere) project. Waka Mere aims to address gender inequalities in the labour market through engagement with the private sector to improve business performance and employment outcomes for women in Solomon Islands. The project is part of the AU$50 million IFC Pacific Partnership (2015–2019).